Users can define profiles to store their most often used Standardizer settings via the Standardizer Graphical User Interface (GUI). Using these preset profiles, the standardization routine can be simpler and easier. 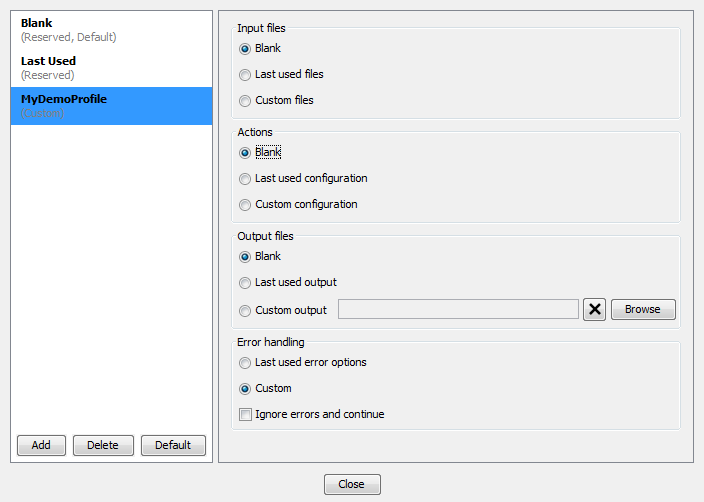 Blank: All input fields are empty by default. Last Used: All input fields are filled with the last used data. Besides these profiles, custom profiles are also available to set and use. Besides setting your custom profiles, you can select your default profile here that is used at start-up. 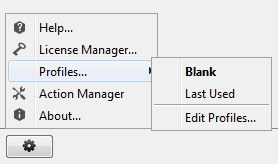 Unless default profile is selected, Blank profile is loaded at each Standardizer start-up.